Here’s a little taste of racism for ya. Melts in your mouth, doesn’t it? 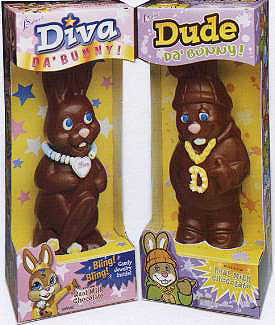 These blingy bunnies come from R.M. Palmer. What’s next, nerdy yellow bunnies eating rice?